If you're driving into the mountains of East Tennessee to visit Gatlinburg or Pigeon Forge, consider a stop at the Great Smokies Flea Market. It's located in Kodak, Tennessee, which is part of Sevier County. Between the indoor and outdoor booth spaces, the Great Smokies Flea Market frequently hosts more than 1000 sellers. The indoor shopping space alone is over 200,000 square feet. Pizza and county-fair style concessions are available. Bring cash. Though some flea market vendors may take credit cards, many don't. And, if you carry cash, you'll have more leverage to haggle for a lower price. Tour groups are welcome at the Great Smokies Flea Market. Call (866) 785-3532 for details. The indoor portion of the flea market has heating and air conditioning. You can bargain hunt in comfort during uncomfortable weather. 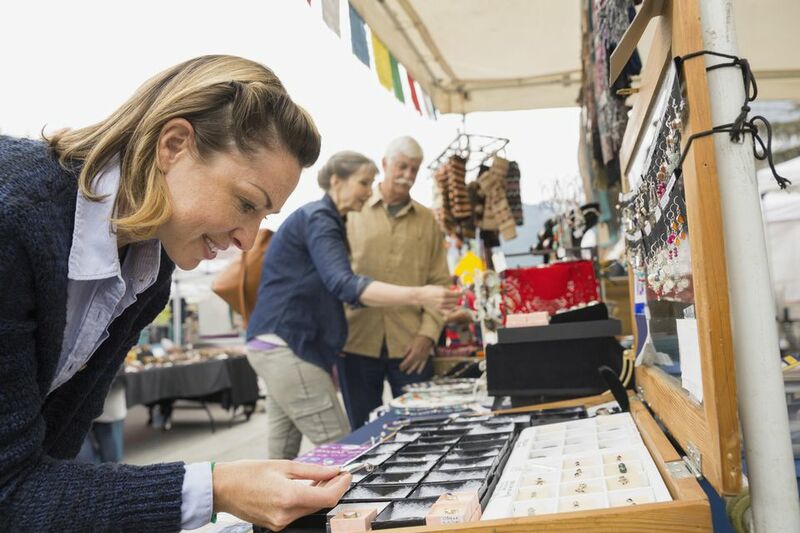 To brush up on your flea market skills, read the 20 Do's and Don'ts for Flea Market Shoppers before you visit. If you're shopping for Smoky Mountain souvenirs or any other type of new merchandise, take a tour through the flea market before you make any purchases. Many of the vendors sell the exact same merchandise -- but they don't all sell it for the exact same price. At traditional flea markets with antique and vintage merchandise, it makes sense to go early for the best selections. The Great Smokies Flea Market sells more new stuff than old, so there's no need to get up at the crack of dawn. Spend the weekend in the area after you visit the flea market. The Great Smokies Flea Market is less than 15 miles from Pigeon Forge, and it's only about 30 miles from Gatlinburg and the Great Smoky Mountains National Park. Indoor booth rentals range from $55 to $110 per weekend. Outdoor booths start at $12 per day on Fridays, $20 per day on Saturdays and Sundays. First and last month's rent required for indoor vendors. Two weeks notice required to cancel contracts for indoor booths. Booth price increases $2 per day for vendors without both city (Sevierville) and county (Sevier County) business licenses. Vendors must have sales tax registration number issued by the state of Tennessee. No subletting of booth space is permitted.